(November 29, 2017 (Dubai)): Chaired by the President of Republic of Turkey, 7th Global Islamic Microfinance Forum successfully ended in Istanbul Turkey. Delegates from more than 40 countries participated in the event. 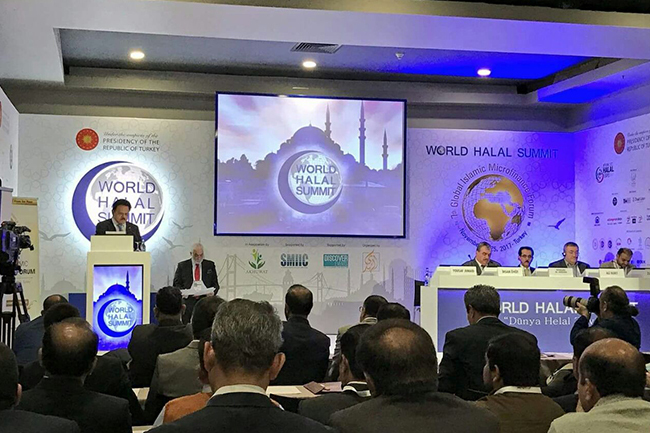 AlHuda Centre of Islamic Banking and Economics organized the forum in association with World Halal Summit at Convention Center Istanbul – Turkey from November 24 – 28, 2017. Islamic microfinance financial technology, Financial Inclusion through Islamic Microfinance, Micro Takaful, Waqf & Zakat – Supportive Elements for Islamic Microfinance and other related topics were focused upon during the first two day of the conference. Islamic Agriculture and Rural Finance, the role of Islamic finance in rural development and micro takaful were under discussion in the next two days. Technical experts from over 25 countries presented the papers in the forum. While addressing to the inauguration ceremony, Mr. Khaled Al-Aboodi, CEO and General Manager, the Islamic Corporation for the Development of the Private Sector (ICD) said that Islamic microfinance is a core element of Islamic financial industry and ICD is already working to promote Islamic microfinance in different parts of the world. Dr. Amjad Saqib, Founder & Chairman, Akhuwat –Pakistan welcomed the honorable guests and participants and briefed them the purpose behind the series of global Islamic microfinance conferences in different parts of the world. He further announced that the next such event would be organized in London next year in October. Dr. Yousaf Junaid, Consul General, Consulate General of Pakistan In Istanbul – Turkey appreciated the selfless effort of AlHuda Centre of Islamic Banking and Economics (CIBE) to promote Islamic financial industry and its all components worldwide. He further added that Islamic microfinance is rapidly growing in different parts of the world including Pakistan. Mr. Ali Kurt, Secretary General, the Union of NGOs of the Islamic World- UNIW – Turkey recognized the efforts and said that OIC and Islamic Development Bank look forward to the promotion of different Islamic financial products all over the world. The organizer of GIMF and the CEO of AlHuda CIBE, Mr. Zubair Mughal while addressing to the participants said that Islamic microfinance is an important element for poverty reduction without which poverty can neither be reduced nor eradicated. Quoting several statistical figures of World Bank and United Nations he revealed that poverty is rapidly increasing in several Islamic countries of the world and on the other hand it has been prominently decreased in other parts of the world. The main reason behind this increase in poverty is the limited availability of different Islamic financial products. The other important factor is the avoidance of the use of financial products due to the prohibited interest against the use of conventional financial products. 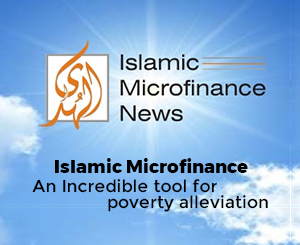 Islamic finance and microfinance is the only substitute to bring them in financial inclusion. He further added that poverty has no religion and emphasized on the use of Fintech in Islamic Microfinance.